Sender keeps the canary copy. 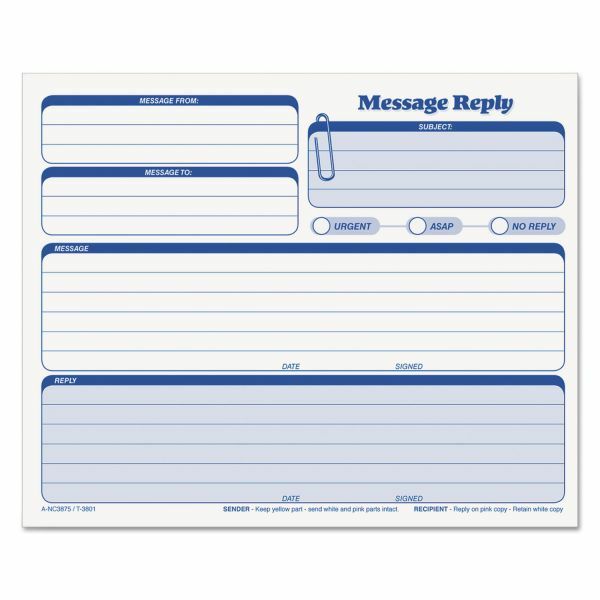 Recipients keep the pink copy while returning the white copy with their reply. 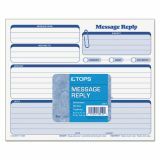 TOPS Rapid Letter Message Memos Form, 8 1/2 x 7, Three-Part Carbonless, 50 Forms - Use Rapid Letter Carbonless Snap-Off Sets to make quick letters. 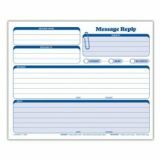 Each form includes three lines for the recipient and a lengthy subject line. 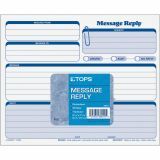 The ruled message and reply areas have spaces for the date, signature and six lines for neater notes. Each set has an original in white, duplicate in canary and triplicate in pink.Each version is printed in blue ink. Sets are detached.3-part carbonless. 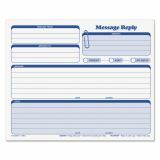 Rapid Letter. White original with canary and pink duplicates. Sender keeps canary. Recipient keeps pink copy and returns white with reply. SFI Certified Sourcing. Detached: 8-1/2" x 7". 50 ST/PK. 5 PK/BX.